The overview of Bangkok real estate trend in 2017 has shown a steady increase in the market. With influx of plans on infrastructure and urban development, the 2018 properties market in Bangkok is predicted to be of full potentials, making this a prosperous year for property investments. According to Nexus Property Consultants Co, Bangkok’s condominium market in 2018 is expected to have positive results with the highest foreseen growth of 8%. Predominately, condominium properties are shaped by the rise in land prices, mega-project developments, government infrastructure developments such as the expansion of the city’s transport networks and the Eastern Economic Corridor (ECC.) The condominium development scene in Bangkok continues to be dominated by overseas investors as well as major Thai Developers like Sansiri, LPN, Ananda Development, Land and House, Property Perfect, Major Development and etc. In terms of market segments, major developers are gearing towards investing in high-end projects, more specifically, projects located with close proximity to the city’s transport links like the BTS Skytrain and the MRT underground. There are many future project constructions in-lined under these locations of Prom Phong, Thong Lo, Pleonchit, Chitlom and Silom. Moreover, overseas investors are also another prime factor for the construction of these particular sites as there is a high demand for condominium properties in the market. K’Prasert Taedunlayasathit, the President of the Thai Condominium Association expresses this issue and the prospect of land prices in Bangkok. 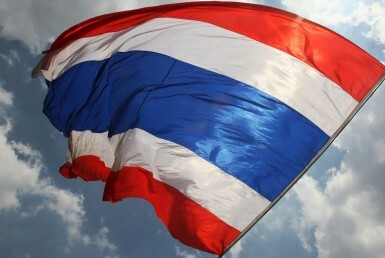 He says major Thai developers have partnered up to purchase land with foreign overseas companies. 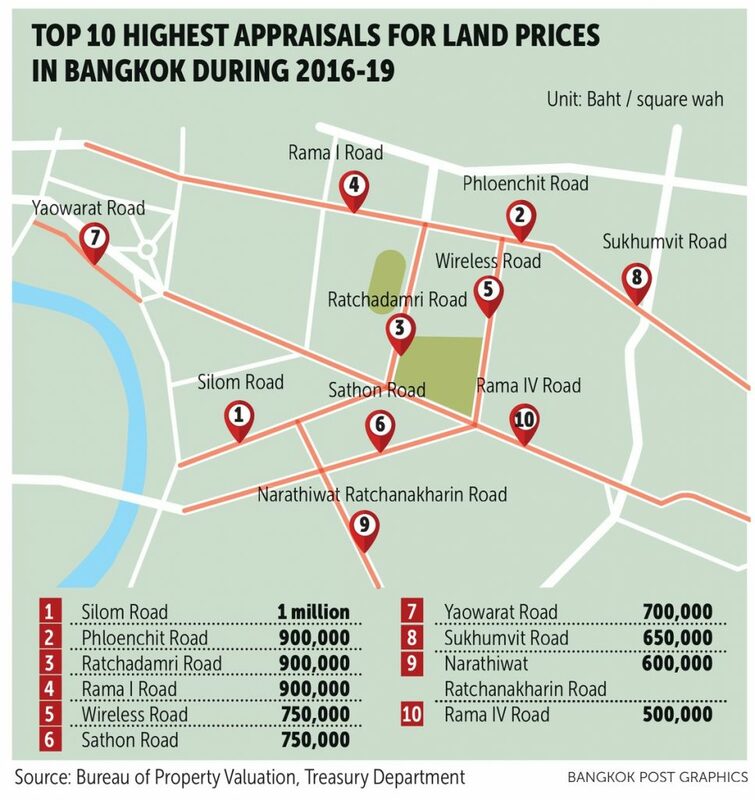 The lands purchased are predominately located in the central business district area of Bangkok as the demand for the up-market real estate is more desirable. 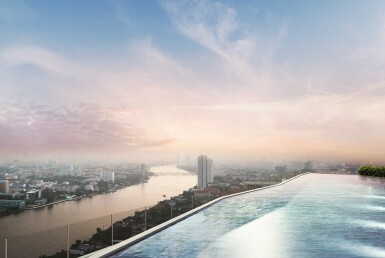 There is an anticipation of 5-8% increase of condominium development in Bangkok. The commencement of the city in-lined projects is due to occur in 2018. The Treasury Department chart below shows the price of land of the units per Thai square wah (metres) in the top investing zones of Bangkok from 2016-2019. The chart shows the statistics of the units per Thai square wah (metres). 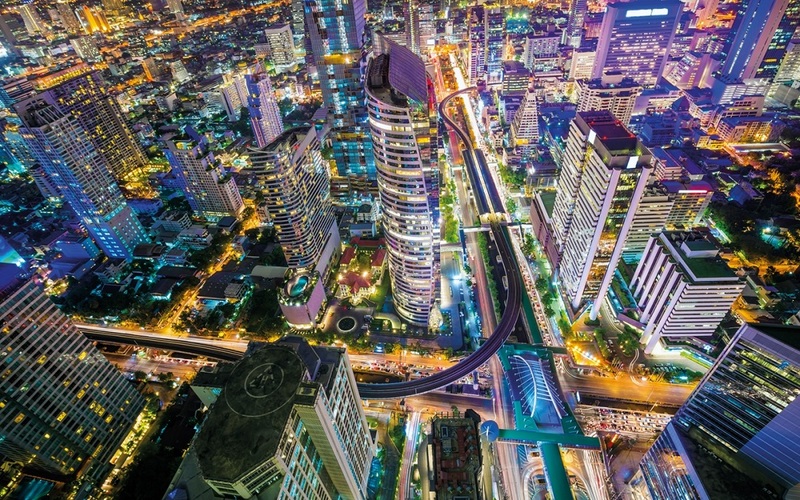 The expansion of Bangkok’s Mass Transit Master Plan (BMT) is a large-scale infrastructure development in Bangkok, approved by the Thai government in 2016. The mass transit line project includes the extension of the Light Green Line, Dark Green Line, Blue Line, Purple Line, Orange Line, Dark Red Line and the Light Red Line. 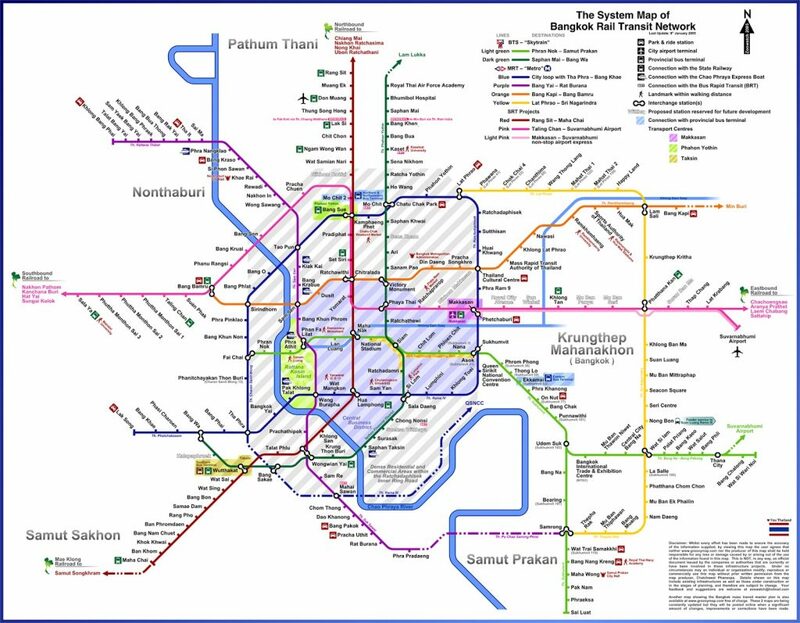 The southern Purple Line has the biggest budget amongst all the line developments, it is worth 101 billion baht and is due to be completed in 2024. 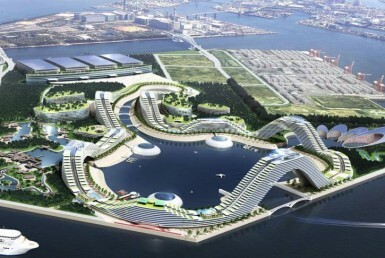 The aim of this massive extensive system is to provide public transport services to the outskirts of Bangkok.